It should go without saying that, particularly in the legal arena, those who take part in proceedings before courts and tribunals need to feel that they have been treated equally. This is, of course, easier said than done, as David Lammy’s report on the Criminal Justice System, published in 2017 showed. (See this blog 29 Sept 2017). But for many years first the Judicial Studies Board and now the Judicial College have offered guidance to judges (and by extension to others involved in the justice system) about the best ways to try to ensure that people are treated fairly. Much of this focusses on the language that judges and others involved in the justice system use generally (for example in relation to litigants in person) and in relation to those from specific sectors of society, who may be defined by their religion, their ethnicity, their sexual orientation, mental or physical disabilities, their gender. In February 2018, the Judicial College published an on-line updated revision to its ‘Equal Treatment Bench Book’. Bench books were originally devised as a handy guide to key issues which could sit on the judge’s desk, available for him to refer to it that seemed necessary. I set out the link to the text here, and invite readers to take a look at the Book and come to their own view on its value. There has long been a desire to see more female and black and minority ethnic (BAME) people appointed to the judiciary. The present Lord Chief Justice Lord Thomas has promoted a number of initiatives designed to build on work already started by the Judicial Appointments Commission. In April 2017, the Judicial Diversity Committee of the Judges’ Council published its latest report on progress together with – for the first time – an Action Plan for activities to be undertaken in 2017-2018. 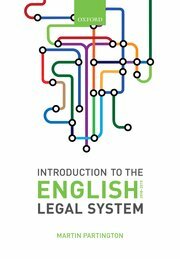 While these aims may seem little bland, detailed reading of the report reveals that there is intended to be an extensive programme of workshops, mentoring, outreach and other initiative designed to encourage those from groups currently under-represented in the judiciary to think about law and a judicial career. The review commissioned an analysis paper looking at disproportionality in the criminal justice system. One finding was that for every 100 white women handed custodial sentences at Crown Courts for drug offences, 227 black women were sentenced to custody. For black men, this figure is 141 for every 100 white men. Among all those found guilty at Crown Court in 2014, 112 black men were sentenced to custody for every 100 white men . The disproportionality analysis also found that, among those found guilty, a greater proportion of black women were sentenced to custody at Crown Court than white women. Of those convicted at Magistrates’ Court for sexual offences, 208 black men and 193 Asian men received custodial sentences for every 100 white men. Mixed ethnic men and women were more likely than white men and women to have adjudications for breaching prison discipline brought against them – but less likely to have those adjudications proven when reviewed. The number of Muslim prisoners has almost doubled in the last decade. The next stage for the review will be to examine the reasons for these figures and to explore whether they reveal bias in the system against those from BAME groups. It has also been announced that Lammy will – as part of this exercise – take a closer look at diversity in the judiciary and the numbers of judges from BAME groups.